My longest dia-buddy came to visit me this weekend, and I couldn’t be happier, especially since she loves to hate Boston because “it steals all my friends.” I picked her up on Friday and we talked about everything under the sun. This included the boys in our lives, our jobs, our family, things that frustrate us, ski season and last but not least, our diabetes. Our relationship is not based on diabetes, but diabetes definitely strengthens it. It helps to have that person who gets it. On Friday night we hung out my roommate, drinking wine, eating food and catching up with each other. On Saturday, we went to see my old tennis team play here in Boston, then to Harpoon Oktoberfest (hence the visit on this particular weekend). We met up with lots of friends, and had a great time, late into the night. We arrive back at my apartment at the crack of 2AM, where I test and am 47. I didn’t feel this at all. Was it dropping because I had been drinking and was giving myself small boluses? Or was it because I was also low the night before at 2AM. I don’t know why I was low, but I had my juice box and I was good to go. On Sunday, we woke up around 8, and my dia-buddy woke up low. Saturday night she couldn’t believe that one juice box can “cure” a low for me, so I go into the kitchen and get her a giant glass of juice. I was consistently getting juice, tabs, soda, and even gel for her, and not until noon was she 99. 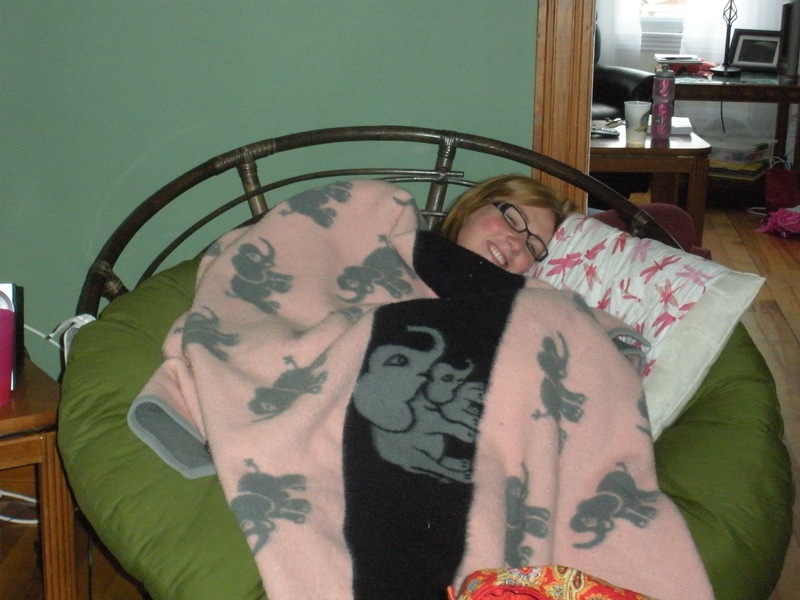 There was a lot of time spent watching movies, bundling in blankets, listening to music, and lots of talking. I enjoy these moments of face-to-face with my dia-buddy, but I also feel terrible for her. We’ve all been there before, but it’s never easy. The next time I am there though, I hope to have a dia-buddy with me, rather than a non dia-buddy because at least dia-buddies know the feeling. When she wasn’t low, we drove up to NH to finish our entirely-to-short weekend together.